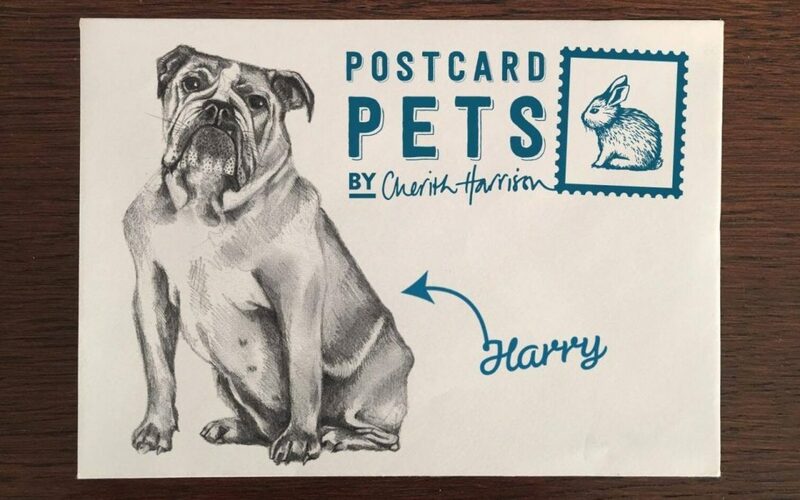 Win an exclusive sketch of your pet by Cherith Harrison #PostcardPetsCherith. Today we are super excited to launch our brand new monthly competition ‘Postcard Pets by Cherith Harrison’. Each month we will choose a pet to sketch and the owner will receive the finished artwork on a postcard – PLUS a goody bag of amazing animal inspired products to enjoy. We know, as animal lovers and pet owners, just how important our feathery, scaly and furry friends are. They are more than just pets; they are our best friends and a member of the family. So what could be better than an exclusive sketch of your beloved pet, which you can cherish forever? The winning pet will be announced on our Facebook page via a video post on the last Friday of every month. Make sure you watch as it could be YOUR pet Cherith is sketching on the video! To enter, simply post a photo of your pet and make sure you tag us and follow us on Facebook @CherithHarrisonHomeGiftware or on Twitter/Instagram – @cherithharrison. Tell us what makes your pet so special and why we should choose them. 1. The Competition is free to enter and no purchase is necessary. 2. The prize is a postcard of the winning pet, sketched by Cherith Harrison and a goody bag of Cherith Harrison Gifts. 3. To submit a pet photo, entrants must follow and tag @cherithharrison on Twitter or Instagram or @CherithHarrisonHomeGiftware on Facebook. 4. The winning pet will be selected by Cherith Harrison and announced via a video post of the sketch on Facebook, on the last Friday of every month. 5. If the winning pet owner does not respond within the required time period (14 days), then the winner’s prize will be forfeited. 6. The prize for the winner is non-exchangeable, non-transferable and no cash alternative is offered. Prizes are subject to product availability and will change from month to month. Cherith Harrison reserves the right at all times to substitute any prize with another prize. 7. The prize will be posted to the winner. Open to entrants worldwide. 8. By entering the competition, entrants consent to their pet’s photos and name appearing on the Cherith Harrison Facebook, twitter and Instagram feeds. 10. If you have any questions about the competition please email hello@cherithharrison.com and include “Postcard Pets Competition” in the subject header line. Please do not email us to enter.